Like most cameras of this type the SX60 HS is styled like a miniature SLR, with a prominent handgrip and viewfinder housing on top. It fits very nicely in the hand, with a nicely shaped grip and moulded thumb rest on the back. On the whole, the controls are reasonably well laid out, too. The zoom controller encircles the shutter button, and the main control dial is placed immediately behind; this is used in conjunction with other buttons to change settings. The top plate is also home to the large power button and the exposure mode dial. 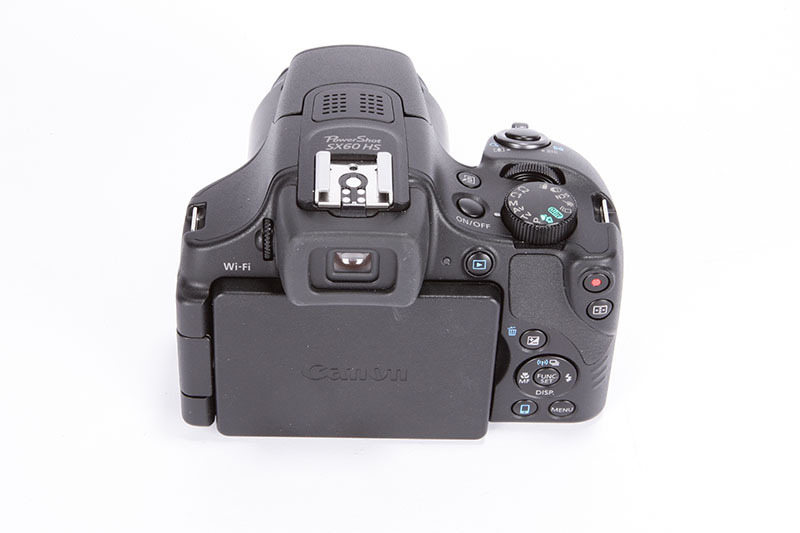 The buttons on the back of the camera give direct access to most of the key shooting parameters, including drive, flash and focus modes. They’re both decently sized and reasonably well spaced, making them relatively easy to operate with the camera to your eye. If we have a criticism, it’s that the four-way controller at the back of the camera is quite flush to the body, making it a little fiddly to operate, most notably when moving the focus area around the frame. A shortcut button on the top of the camera can be customised to suit the user; oddly, it does nothing by default, but it can be set for such functions as autofocus lock or autoexposure lock. The movie record and framing assist buttons can also be re-assigned if you prefer, with a decent range of alternatives available. 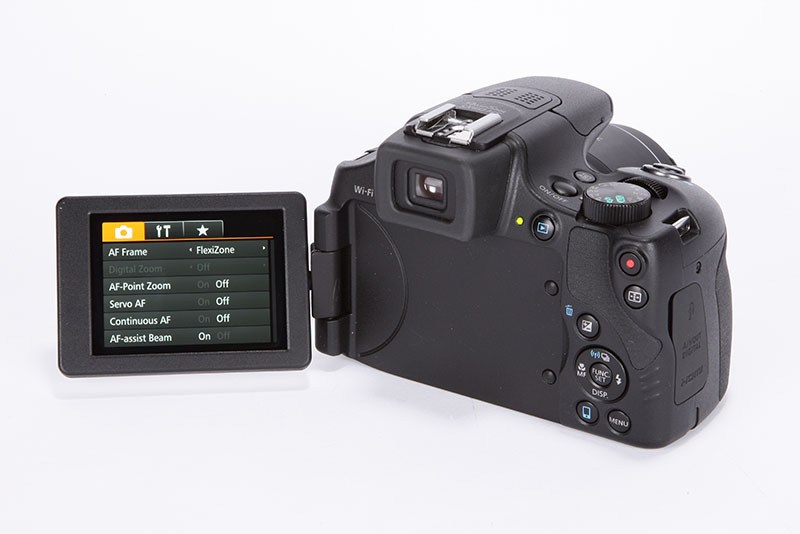 The handy onscreen function menu can also be user-customised, and the camera can memorise two custom exposure modes. Despite the resemblance to an SLR, however, the SX60 HS’s screens and menu options are resolutely from Canon’s PowerShot division. Some of the options are oddly dumbed down. For example, if you choose to shoot both raw and JPEG files together, the camera refuses to allow you to change any of the normally available JPEG parameters. There’s no way of setting the ISO aside from via Function menu, either. In terms of build quality, the SX60 HS is very much in the middle of the road. Most of the body is constructed from lightweight plastics, with only the front fixed section of the lens barrel crafted from metal. There’s little here though to make the SX60 feel like a premium product, which is a bit disappointing given the price.